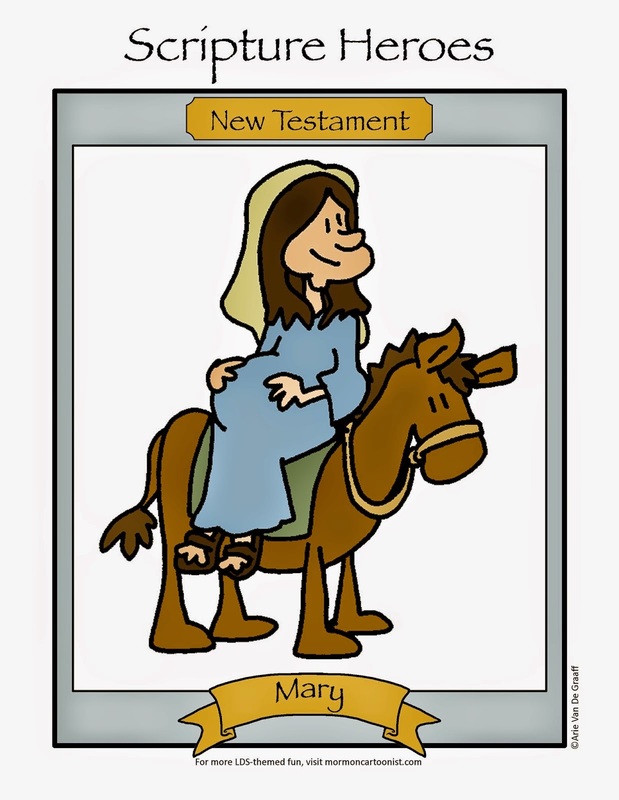 Longtime readers of this blog know that last March I accomplished something that had eluded me for pretty much my entire professional cartooning career. * I published a pinewood derby gag in the New Era! 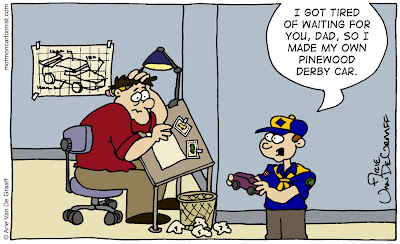 I had previously submitted enough pinewood gags to the New Era and failed to see any of them published (for examples of these failed attempts, see here, here, and here as well as the gag directly below), that having a pinewood derby gag published in the New Era became a major cartooning goal of mine. 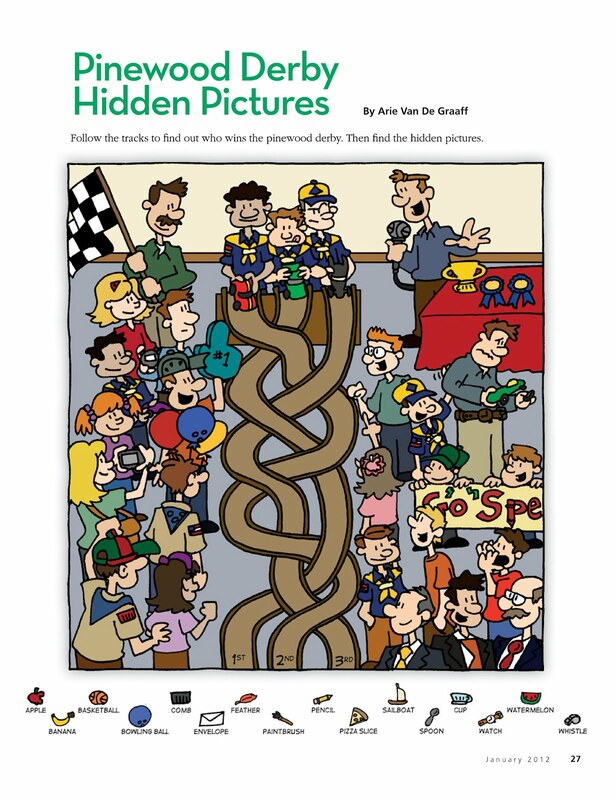 In this month's Friend, you'll find a pinewood derby activity page of mine. 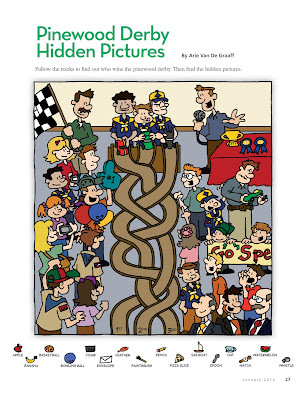 This happened to be the very first pinewood derby themed submission I made to that magazine! Think of that, after nearly a decade of rejected efforts to publish a pinewood derby piece in the New Era, I get something in the Friend in my first try. You know what that means? Next year, I'm going to try to get a pinewood derby oil paint published on the inside cover of the Ensign while I enjoy my current hot streak! *I'm using the phrase "professional cartooning career" in the looses sense ever. We're not as "Pinewood Derby snobbish" as the folks at the New Era. Can't wait to see the Ensign cover. Awesome job, Arie! I, too, can't wait to see the Ensign! Found em!!! That whistle was kind of tricky. 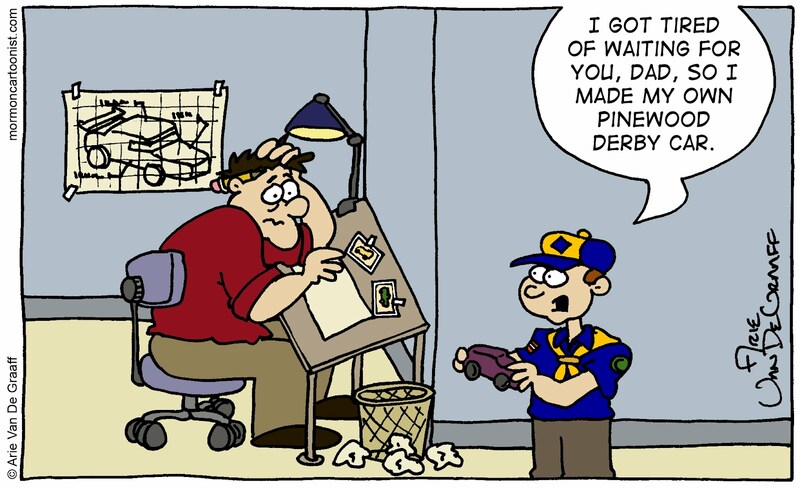 Pinewood Derby time! Why does my kid want such a crazy design?